Shirts With Random Triangles: Iowa Tells America "See You In Pasadena" In New Rose Bowl Hype Video. Iowa Tells America "See You In Pasadena" In New Rose Bowl Hype Video. Iowa with head coach Kirk Ferentz. Image via clcveland.com. Oh look, Iowa has released a hype video for its long-awaited return to the Rose Bowl! Titled "See You in Pasadena," the video celebrates the Hawkeyes quite unexpected success in 2015 with highlights from the season. There are also clips and photos to remind Hawkeye fans of the team's previous Rose Bowl appearances (ignoring the fact Iowa has never actually won the Rose Bowl Game). The music selection will be quite familiar to college football fans. It's "Silver Scrapes," by Danny McCarthy, one of the regular music selections for ESPN College GameDay. 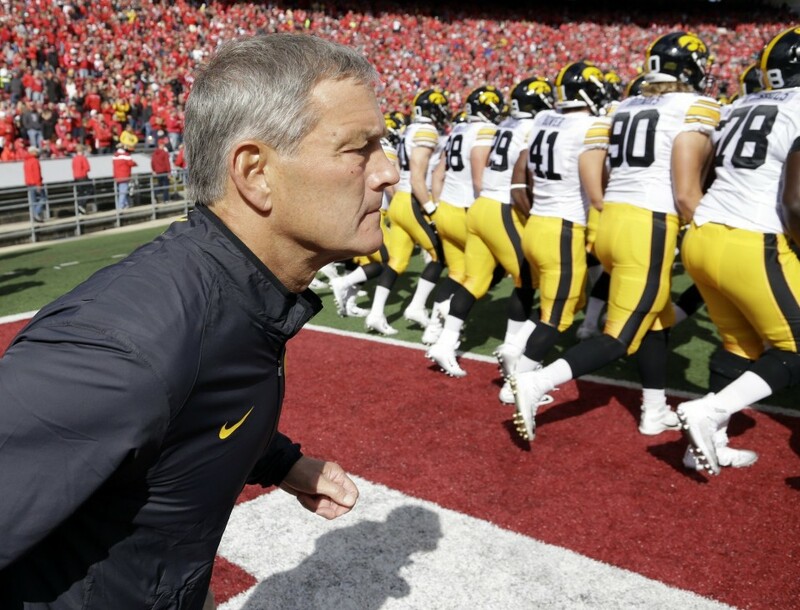 Iowa will face Stanford in the 2016 Rose Bowl Game on Jan. 1, 2016.